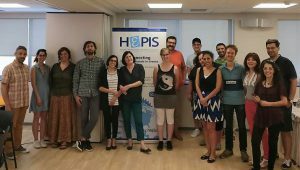 On 7-8 June 2018, BRIGHTS partners gathered in Athens, Greece, for their fourth project meeting, which was hosted by HePIS. The meeting focused on the exchange of experiences among the BRIGHTS national tutors about the implementation of the piloting activities (MOOC, workshops with teachers and trainers and workshops with students). The piloting activities were overall very successful with participants reporting that they had a unique and fulfilling experience. Most of the teachers and trainers attending the workshops found the subject 0f Global Citizenship Education (GCE) very relevant, and they were happy to apply the Digital Storytelling methodology with their students as a way to raise their awareness on GCE topics. 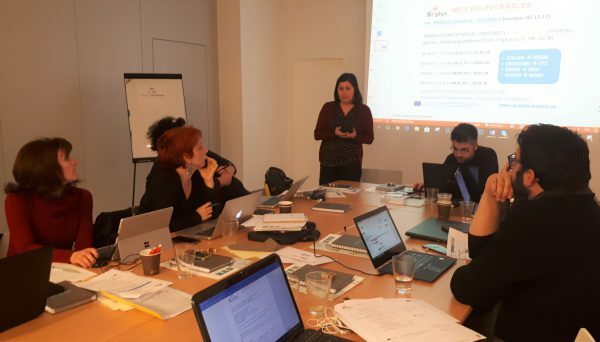 During the meeting, project partners also went through the results from the evaluation surveys that was submitted to teachers and trainers before and after the completion of the BRIGHTS MOOC and after the face-to-face workshops. It was a good way for them to analyze what went well and what still needed to be improved in the future. The meeting was very productive especially in terms of planning of future activities. Project partners will be engaged in the organisation of the BRIGHTS final event which will take place on 18-19 October 2018 in Brussels and will be hosted by the ALL DIGITAL Summit 2018 “Digital journey: from inclusion to empowerment”. During the Summit, the BRIGHTS Awards will be presented to four best national digital stories and, among them, the best European digital story. The project is coming to an end, but an exciting time is still ahead of our BRIGHTS partners! 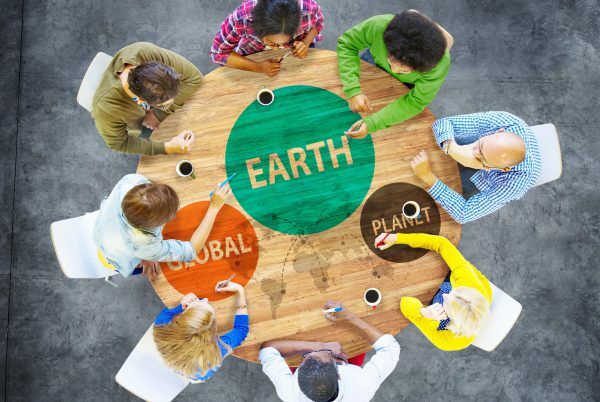 Are you a teacher or a trainer working on Global Citizenship Education? Did you take part in the BRIGHTS MOOC and workshop? Join the working group on GCE on the Unite-IT Platform! Please click here to download the Informative Kit on GCE: the document summarizes the concept of Global Citizenship Education, its benefits and methodology, and introduces the Digital Storytelling technique as a tool to teach Global Citizenship Education more effectively. Furthermore, it provides best practices regarding its application. It can be used both as a resource to approach the field of Global Citizenship Education for the first time and as a basis to plan and implement more extensive and focused studies and practices in the field.